We have a large selection of work lights. We find lamps for all occasions with us. Options with really good brightness as well as the slightly less brightness. Rechargeable work lights and non-rechargeable. We have a great focus on LED lamps as the advantages of these are many. Energy-efficient, compact and long-lasting. Having the right light when you work is important to achieve a good result. Whether you're moping with the car, changing the facade or renovating the bedroom. With our lamps you can stop annoying yourself of bad light and instead concentrate on the job. You will find many different types of work lighting, different brightness, with and without stand and lamps in different price ranges. 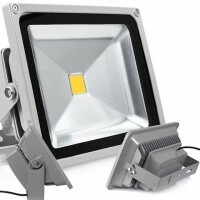 For example, look at the affordable work lamp Boruit LED 30W and this Smooth and splash resistant LED lights .